Expansion of China's factory and service activities slowed down in July but still pointed to steady economic growth. The purchasing managers' index (PMI) for China's manufacturing sector came in at 51.2 this month, down from 51.5 in June, the National Bureau of Statistics (NBS) said Tuesday. The PMI for the manufacturing sector has remained above 51 for five consecutive months while that for the non-manufacturing sector has maintained at or above 54 for 11 months in a row. 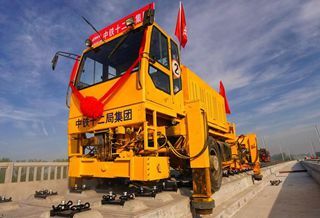 "While there are some fluctuations in PMI figures, China's factory and service activities are still stable, indicating steady economic growth momentum," NBS senior statistician Zhao Qinghe said. Zhao attributed the slight drops in July's PMI figures to bad weather conditions, escalating trade tensions, and a slack season for some sectors. Hot weather and rainy days affected some mining and construction firms, while trade frictions weighed on export enterprises by dampening new orders. However, the sub-index for consumer products manufacturing picked up in July thanks to consumers' increasing purchase power as their disposable income rises. Meanwhile, NBS data also showed that pressure of rising costs for some firms eased and supply conditions for financing and labor force improved this month. China has issued a string of measures to support the real economy in the past few weeks. The central bank and other financial regulators published more pragmatic execution guidelines for the wealth management industry and encouraged banks to allocate more on credit bonds, while the State Council called for more accommodative fiscal policies. The PMI for the manufacturing sector is expected to rebound in the future as the government's supportive policies gradually take effect and influence of seasonal factors fades, according to Lian Ping, chief economist with Bank of Communications. China's economy expanded 6.8 percent year on year in the first half of this year, above the annual target of around 6.5 percent.